HÀ NỘI — The Bình Dương Television Cycling Tournament, Hoa Sen Plastic Pipe Cup, is scheduled to start on May 24. The annual event will attract the participation of nearly 70 cyclists from 11 teams nationwide such as An Giang Plant Protection, VUS-HCM City, An Giang, Đồng Tháp and Hà Nội. Cyclists will compete in seven stages covering a near 800km long course which starts in Bình Định Province, before passing through a number of other provinces and ending in Thủ Dầu Một City, Bình Dương Province. The event has a total prize of VNĐ400 million (US$17,400), of which the winner of the overall yellow jersey award will walk away with VNĐ60 million ($2,600). Although the event has only seven stages, participants have to conquer six mountain passes including Vĩnh Hy, Ngoạn Mục and Prenn. 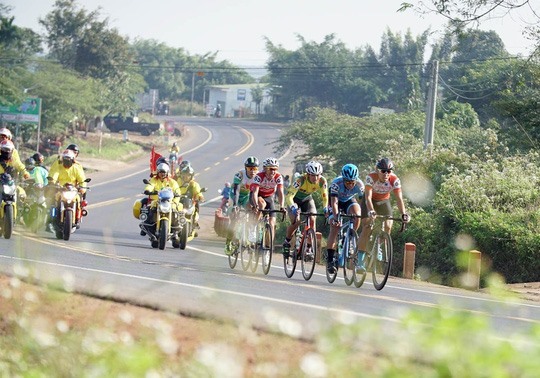 According to Deputy Chairman of the Việt Nam Cycling and Motor Sport Federation Ngo Quang Vinh, the tournament is a warm-up for Vietnamese athletes to prepare for the upcoming Asian Games 18 in August. As part of the event, the organising board will give eight tonnes of rice and 80 bicycles to poor families and poor students who have achieved good results at school.